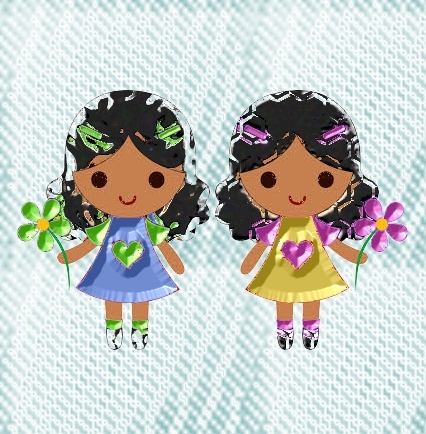 Mahalia and Tahlia were identical twins. Mahalia was called Mahalia, and Tahlia was called Wugs. No one seemed to remember why. Somehow, however, it mattered to Wugs and Mahalia. Try as the twins might, their parents would not reveal even a hint. Mahalia and Wugs decided on a secret pact: they would decide themselves as to which was the older. They would cook their parents a meal. A dish each. The dish first tasted by either parent would indicate the cook of it to be the first one born. It was a silly game, they knew, but what the heck! As long as their parents didn’t know in advance. It was a bit of fun for the eleven year olds. They played games like that all the time. It was like magic. Wugs cooked a beautiful soufflé with bits of bacon and Swiss chard. Mahalia cooked crumbed drumsticks with peppery spices. They put them on the table. Dad tucked into a drumstick at the exact same moment as Mum tasted the soufflé.